Destination Moon; George Pal's 1950 Technicolor epic, is generally cited as the first noteworthy science fiction film. Usually ignored or casually dismissed in genre histories are the serials, the low-budget chapterplays exhibited as Saturday matinee fare and targeted almost exclusively at children. Lacking stars and top-notch writers or directors, the serials went largely unnoticed and unacknowledged by either critics or by the film industry. 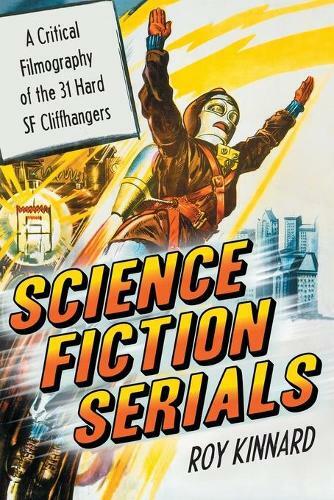 Yet, serials were financially important to the Hollywood studios, and were often free to exploit risky or outlandish subjects that producers of ""distinguished"" movies would not touch.Influential serials such as ""The Phantom Empire"" (1935) and ""Flash Gordon"" (1936) finally brought science fiction themes to the big screen. Those serials and 29 others are exhaustively covered in this work, which provides complete cast and credit information along with plot descriptions and historical commentary for each serial. Video distributors (if available) are also listed.